How do I Ensure Quality Digital Badges? Your students have assets beyond what shows up on their report cards. APS Digital Badges help you to notice and name the valuable 21st Century Skills in which your students excel, ultimately adding to a richer narrative of who each of them are as learners and achievers. 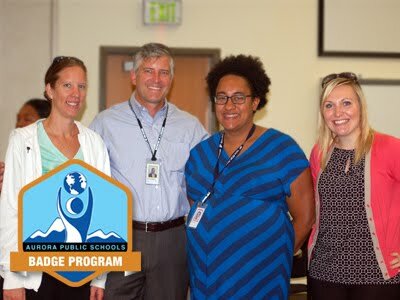 Once students earn Badges, they will be able to use them in order to open opportunities such as job shadows and internships with Community Endorsers. Digital Badges will be an important piece of our Strategic Plan to ensure that all students have a learning plan, the skills needed to succeed after high school and credentials of those skills. Need assistance? Contact the Help Desk at extension 28203 or email to helpdesk@aurorak12.co.us so that we can better serve you.